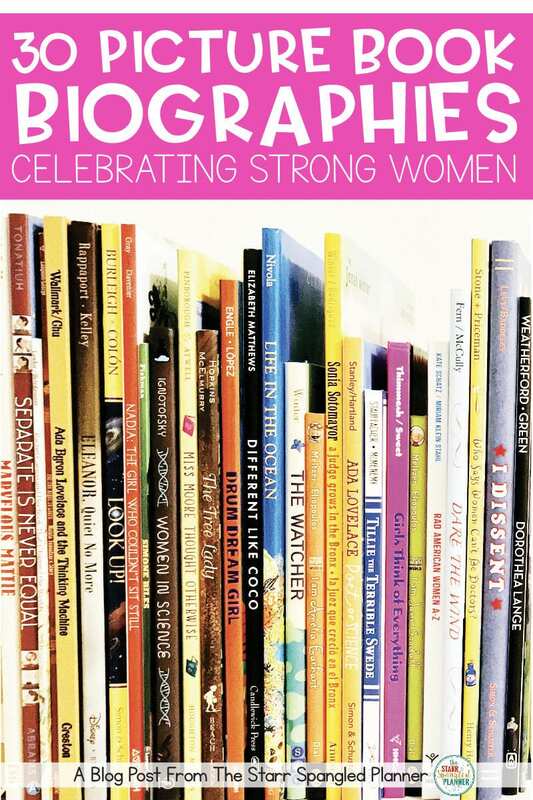 I am so excited to share some amazing picture book biographies to celebrate Women’s History Month. 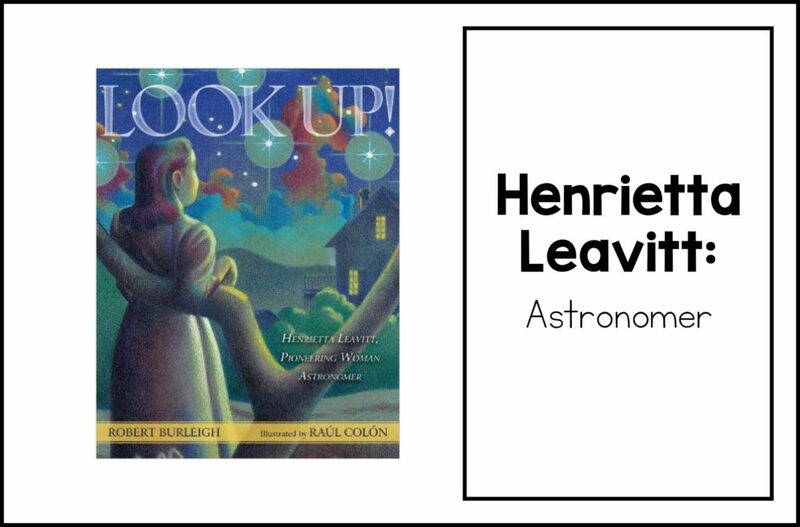 The books in this collection are some of my ALL TIME FAVORITE books to read aloud to my students. 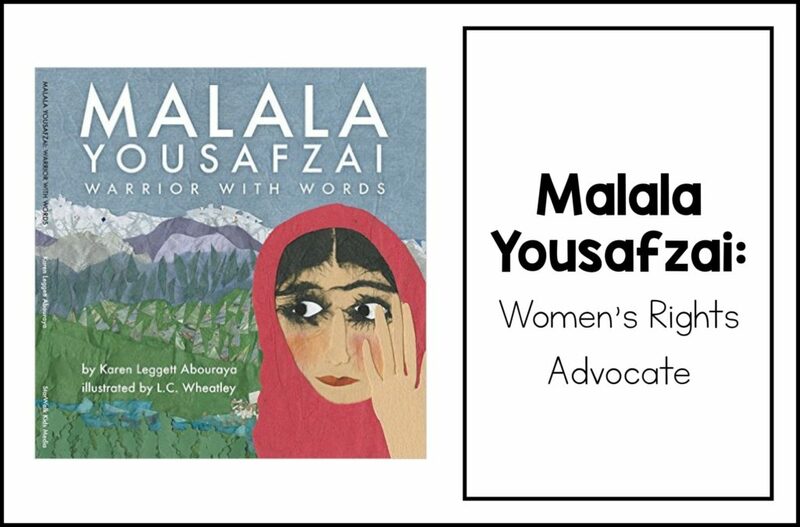 They share the inspiring stories of strong women who have helped pave the way for equal rights and status in society. 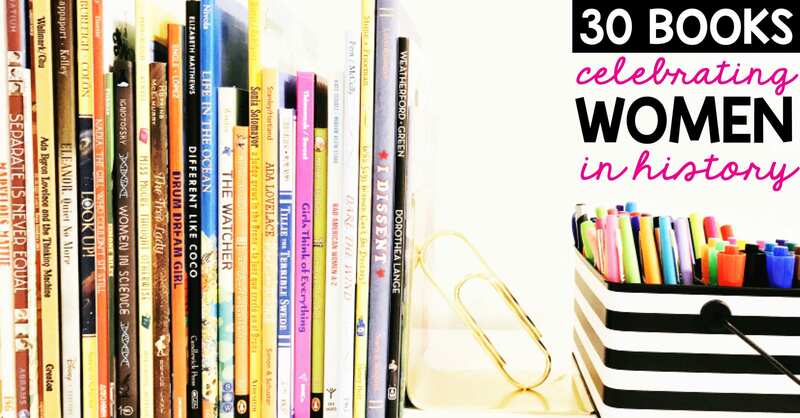 From scientists to politicians, and gymnasts to activists, this comprehensive list will help you get your classroom library ready to celebrate the fabulous stories of pioneering women! To help you navigate this list, I have loosely categorized the books into the following categories: Politicians & Advocates, Sports Figures, Scientists, Artists, and Pilots & Navigators. I choose to read these books aloud to foster discussions, and also help students navigate the heavy nature of some of these stories. Like all books we share with our children, I highly recommend reading them prior to making them accessible to students. You know which books will best match your learners. You can click on any of the book covers or book titles below for an Amazon affiliate link, where you can find a full summary and reviews of each book. If you happen to order a book from the link provided, a small percentage goes towards the maintenance of my blog! 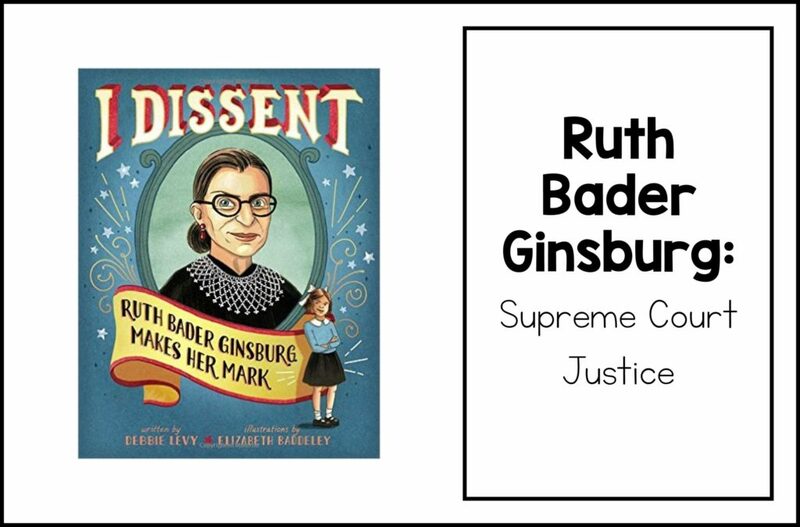 WHY YOUR STUDENTS SHOULD READ THIS BOOK: Whether it was being told to write with her right hand (she’s a lefty), to being told she had to take home economics instead of shop, Ruth protested. Regardless of your political affiliation, this book provides an excellent example of a woman who is not afraid to disagree and speak up. 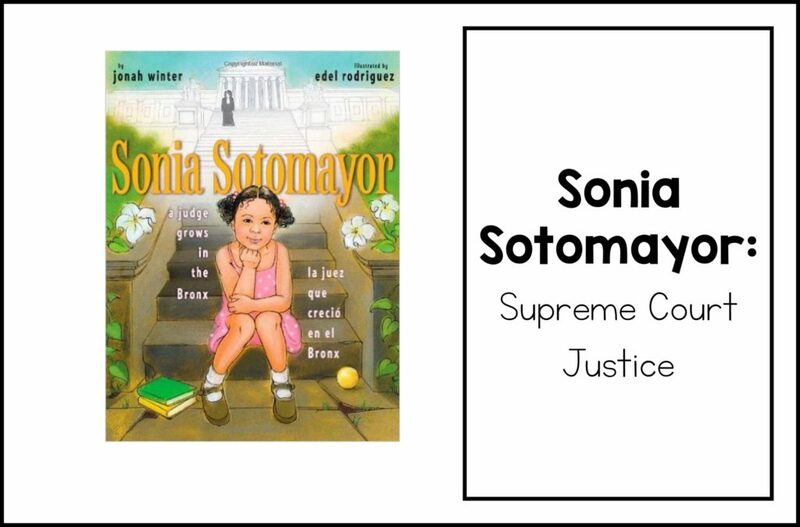 WHY YOUR STUDENTS SHOULD READ THIS BOOK: It is an incredibly uplifting and empowering story about rising out of poverty and prejudice to become the first Latino to be nominated to the U.S. Supreme Court. Added bonus: IT’S BILINGUAL! 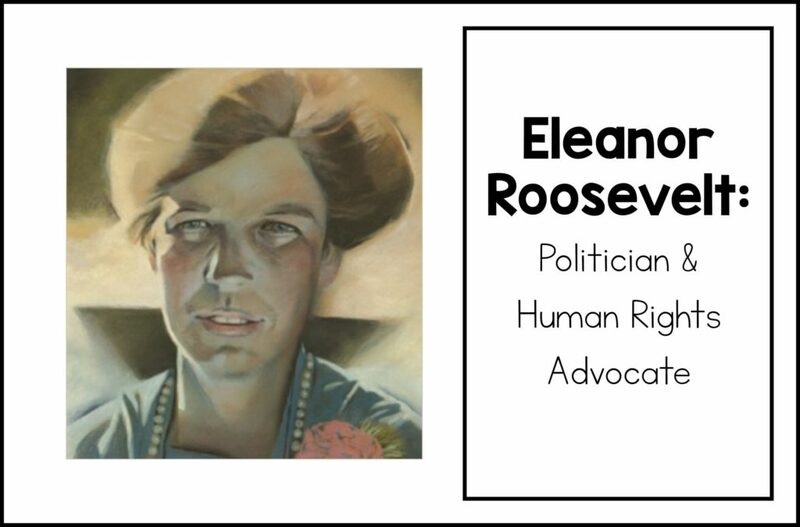 WHY YOUR STUDENTS SHOULD READ THIS BOOK: Similar to her book, Martin’s Big Words, this book is filled with Eleanor Roosevelt’s powerful and thought-provoking quotes that come together with beautiful artwork to form a real winner! 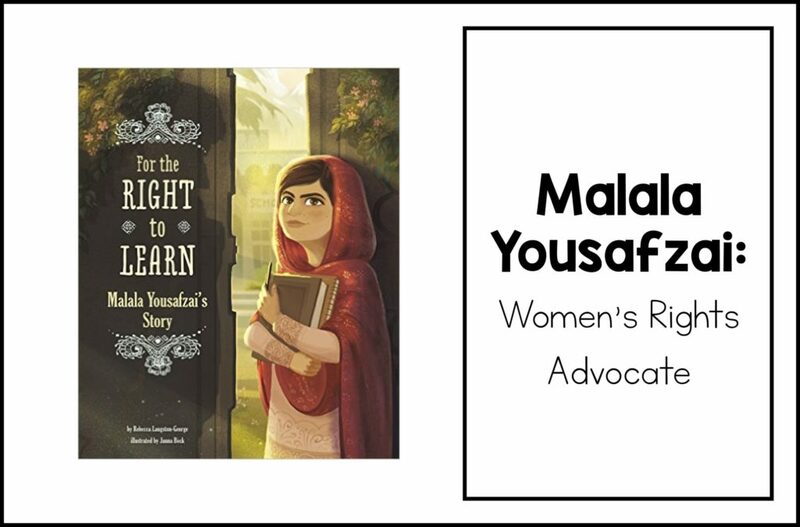 WHY YOUR STUDENTS SHOULD READ THIS BOOK: This book simply, but powerfully, communicates Malala’s incredible story. It really gives students a new perspective of school, and helps many think deeper about the everyday learning they may take for granted. WHY YOUR STUDENTS SHOULD READ THIS BOOK: Like the previous recommendation, this book is not a light topic, but it is so important. I love the information at the end of the book that helps student take action to support children around the world receive equal access to education! WHY YOUR STUDENTS SHOULD READ THIS BOOK: 10 years before Brown vs. 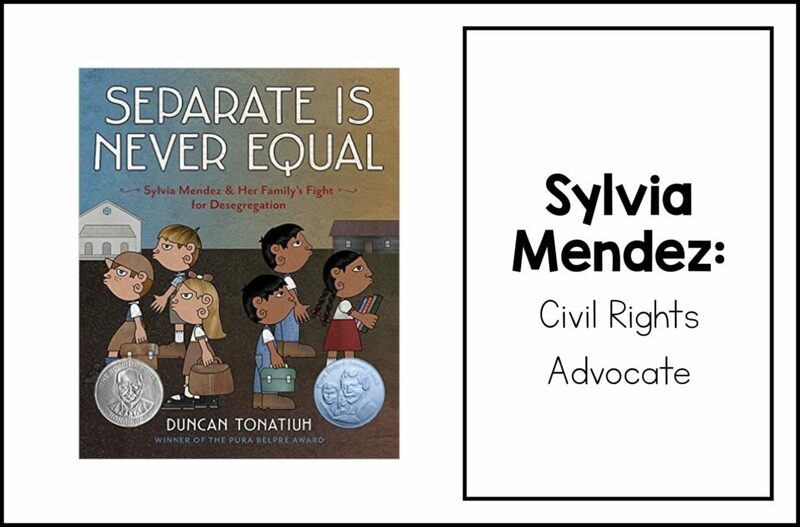 The Board of Education, 8-year-old Sylvia Mendez helped desegregate schools in California. I love that students can see the power a young child can have on the future of society. 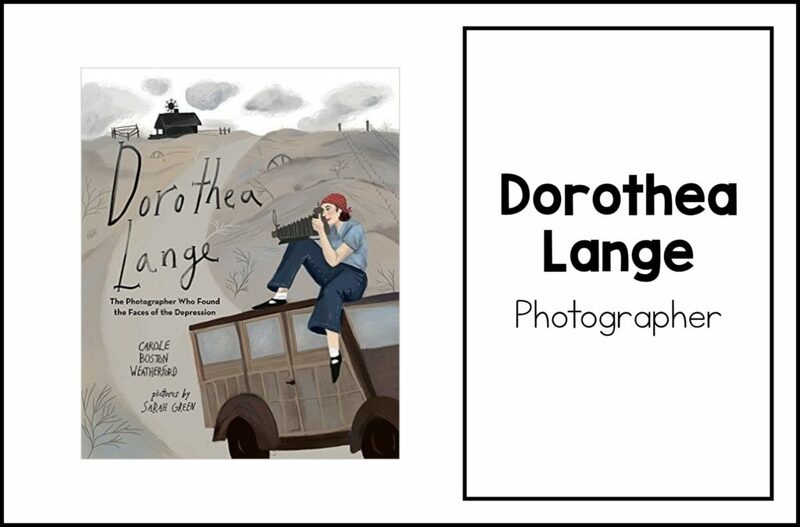 WHY YOUR STUDENTS SHOULD READ THIS BOOK: This book highlights the work of photographer, Dorothea Lange, and how her images helped “give a face” to the suffering people of the Great Depression. I love that this book shows a different, yet still powerful path to advocating for others. Many of my more introverted students really connect with Dorothea because they found her way of standing up for people more in line with their personality. WHY YOUR STUDENTS SHOULD READ THIS BOOK: For my students who have trouble sitting still in class, this book provides a wonderful role model. 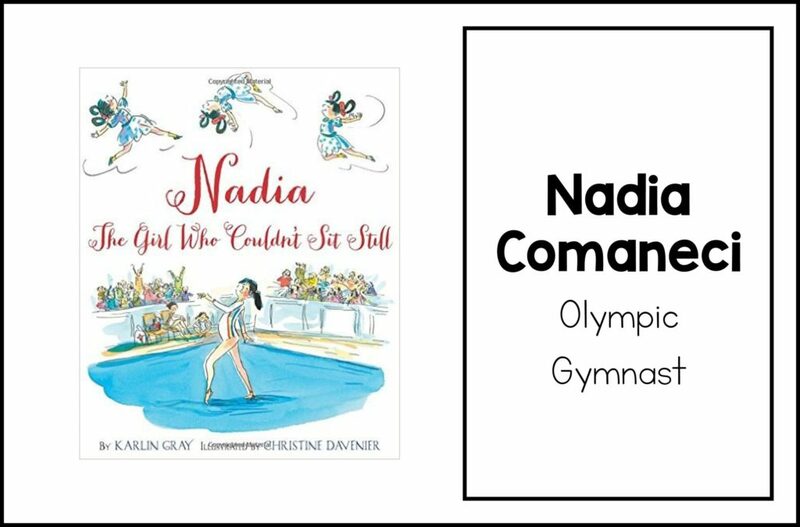 Nadia not only found a way to harness her energy in a positive way, but it was that energy that helped her to thrive! 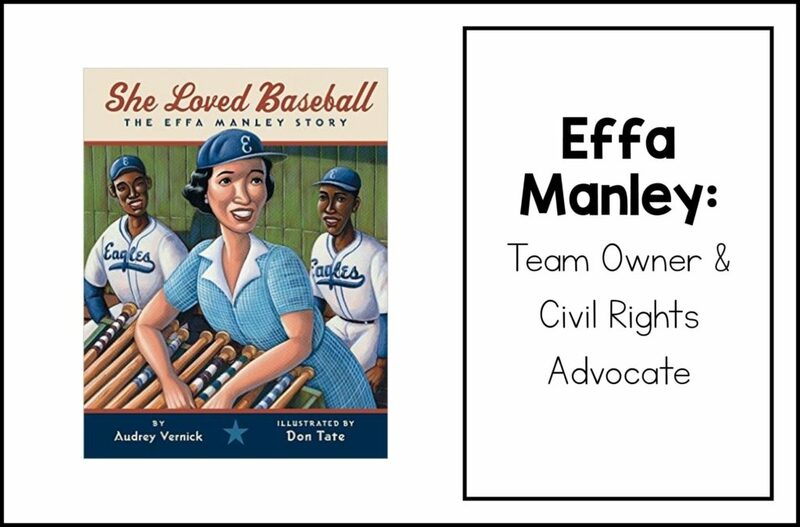 WHY YOUR STUDENTS SHOULD READ THIS BOOK: An advocate for both racial and gender equality, Effa Manley spent her life insisting fairness! I love how this book shows her love of baseball from a young age, and how she never let her gender prevent her from pursuing a life in the male dominated sport. She is still the ONLY woman ever inducted into the Baseball Hall Of Fame! 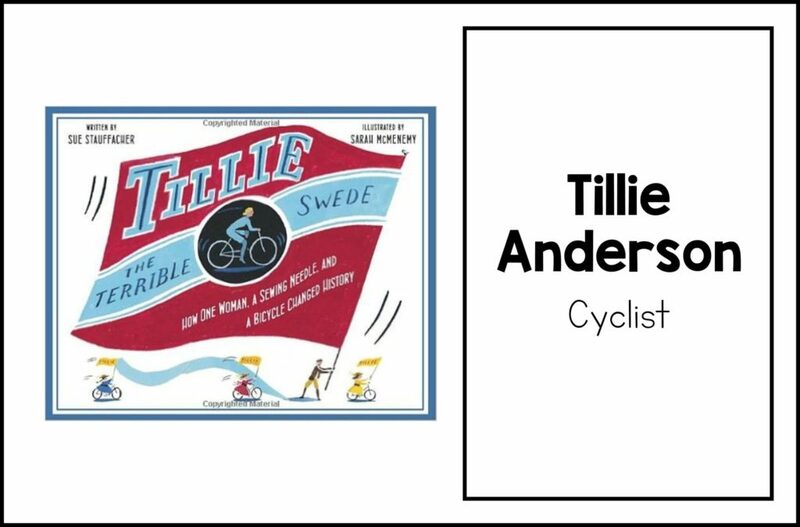 WHY YOUR STUDENTS SHOULD READ THIS BOOK: Tillie didn’t care what people thought of her. She fell in love with bicycles, and didn’t let anyone’s opinion keep her from pursuing her dream of racing. She challenged how women were supposed to act, dress, and care for their health. She is a great example that encourages students to be themselves, despite the disapproval of others. WHY YOUR STUDENTS SHOULD READ THIS BOOK: It’s important to include current trail blazers in your examples of strong women. 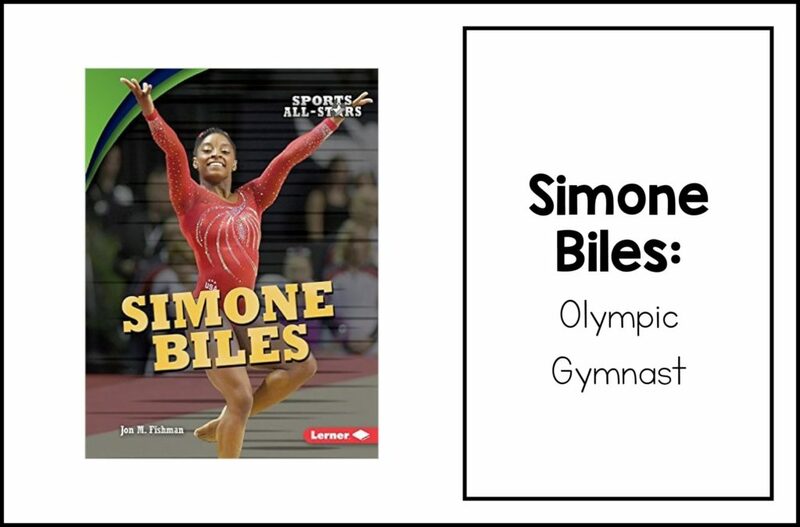 I love that this book focuses on Simone’s determination and achievements, but also shows the side of her when she isn’t training and in the spotlight that students can really connect to. 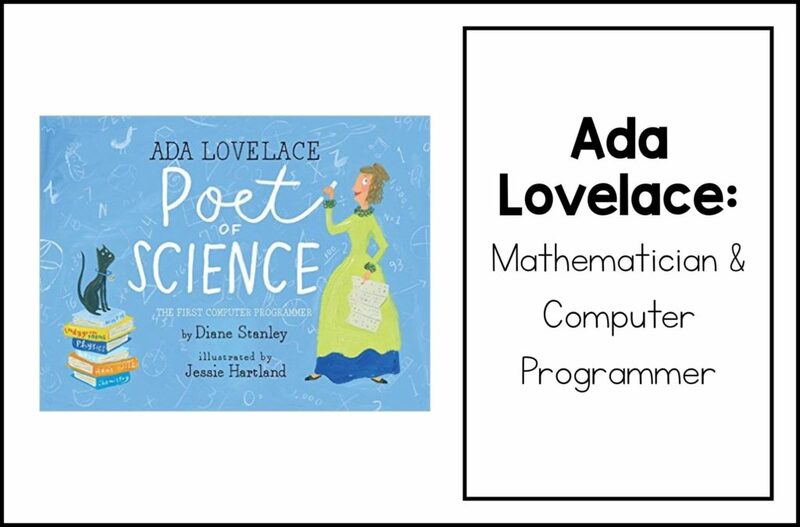 WHY YOUR STUDENTS SHOULD READ THIS BOOK: It is no secret that women are seriously underrepresented in the computer science field. I love that this book shares that the true pioneer in the field was actually a woman! 100 years before the first computer was ever introduced, Ada wrote the world’s first computer program. It is definitely a great way to encourage girls to see themselves in STEM professions. 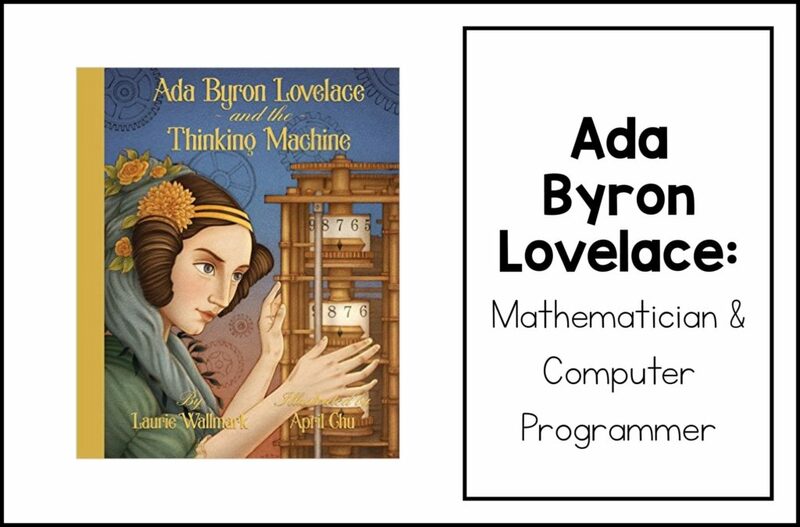 WHY YOUR STUDENTS SHOULD READ THIS BOOK: Another awesome pick to highlight Ada Lovelace! I am obsessed with the illustrations in this book! There are multiple images per page, and their whimsical look are very engaging and really helps tell Ada’s story. 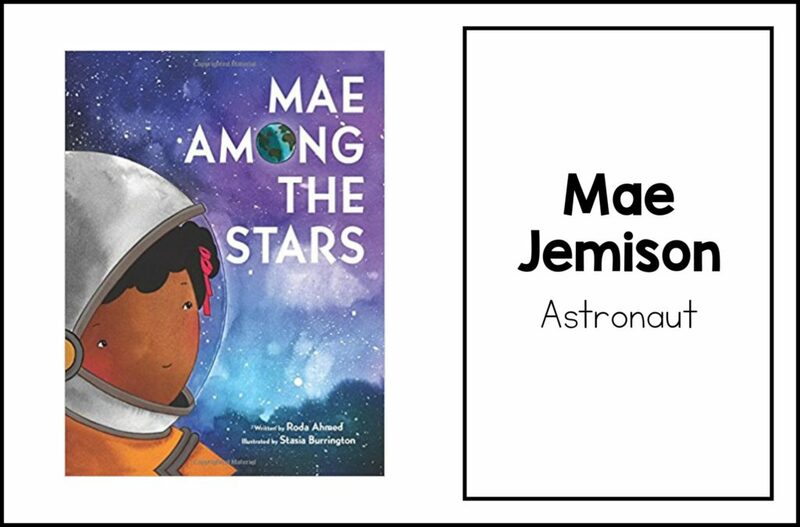 WHY YOUR STUDENTS SHOULD READ THIS BOOK: Mae Jemison was the first African American woman to travel in space and this book celebrates her perfectly! The illustrations are bright and colorful (I could easily stare at them all day!) The story tells of Mae’s curiosity, imagination and intelligence, and will encourage your students to dream big! WHY YOUR STUDENTS SHOULD READ THIS BOOK: This book is one of my all-time favorites! It takes on the “Girls Can’t Do That” mentality head on! 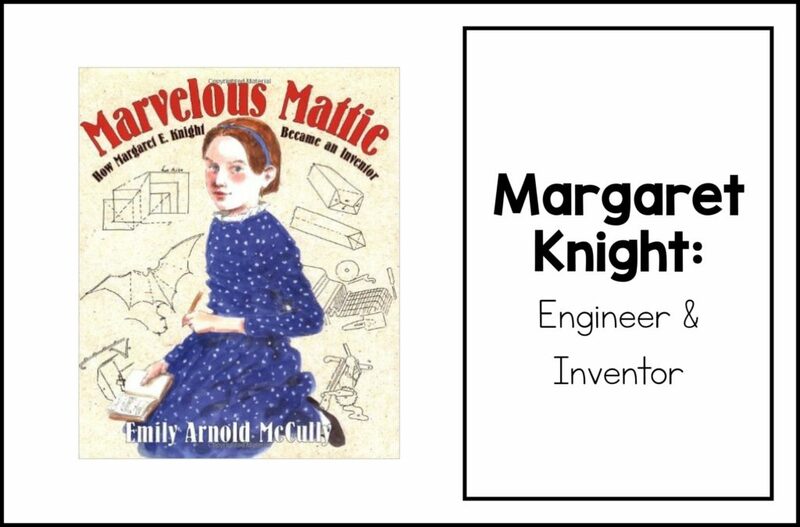 Mattie was born to be an engineer, but her path was often blocked by men of the opinion that women were not intelligent enough to enter the field. The man who stole Mattie’s intellectual property tried to claim it couldn’t be her idea simply because she was a girl, and therefore incapable of such thinking. Boy did Mattie show him! I seriously love this girl! 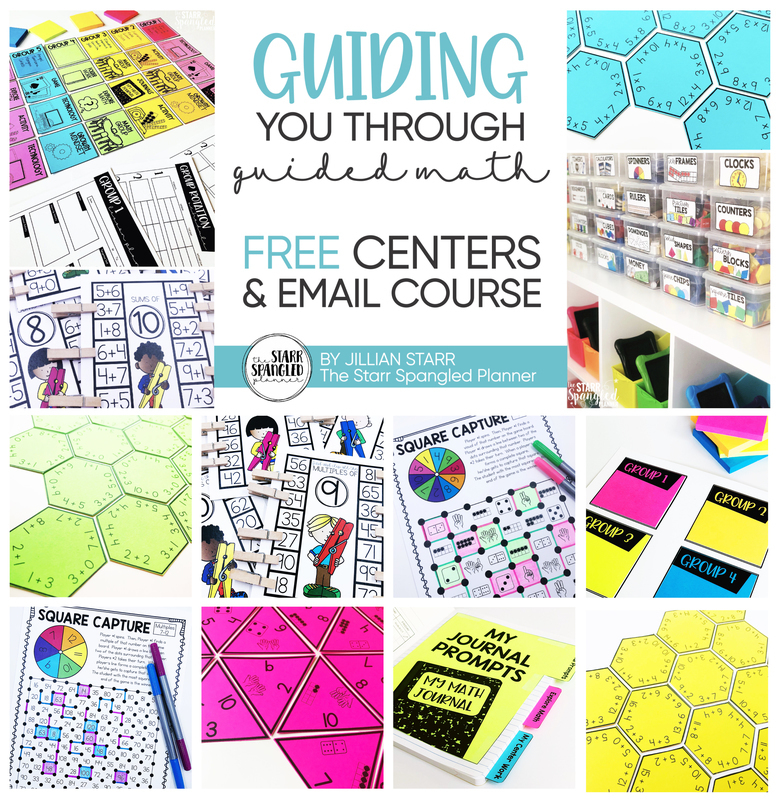 For additional information and a FREEBIE, check out this BLOG POST dedicated to Marvelous Mattie! 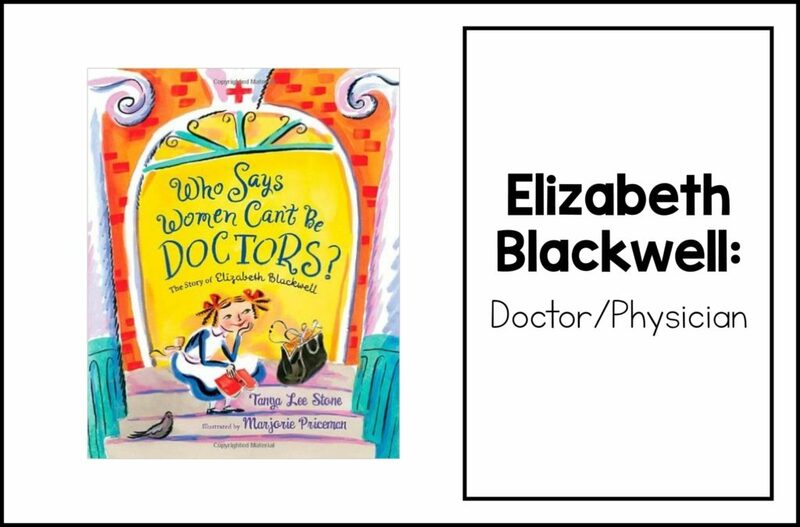 WHY YOUR STUDENTS SHOULD READ THIS BOOK: This is a super inspiring story about the first female doctor. Elizabeth is very strong-willed woman and refuses to take no for an answer. Even though everyone told her that women were too weak, and not smart enough to study medicine, she persisted. She is a great example of breaking down barriers! WHY YOUR STUDENTS SHOULD READ THIS BOOK: I love this portrayal of a quiet girl with a LOUD message! Do you have any environmental activists in your classroom? 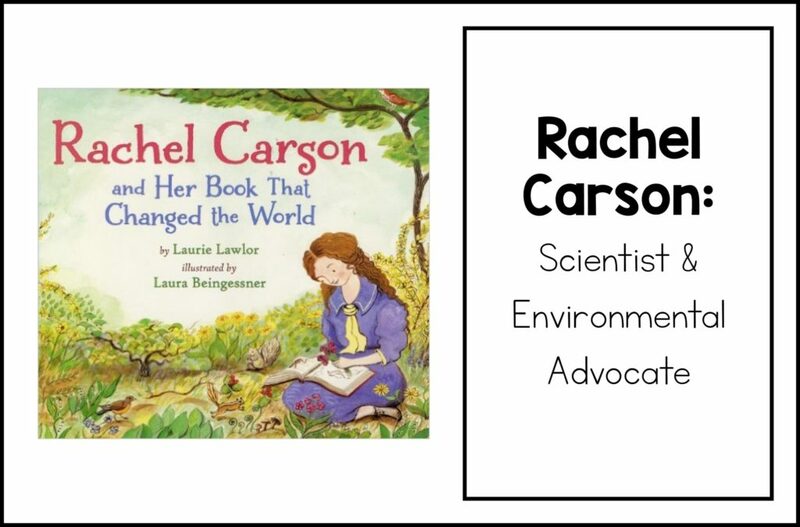 Rachel Carson was a fierce advocate for the environment, and one that your students are sure to LOVE! WHY YOUR STUDENTS SHOULD READ THIS BOOK: My students LOVE this book, and I love that it encourages ambition and perseverance! 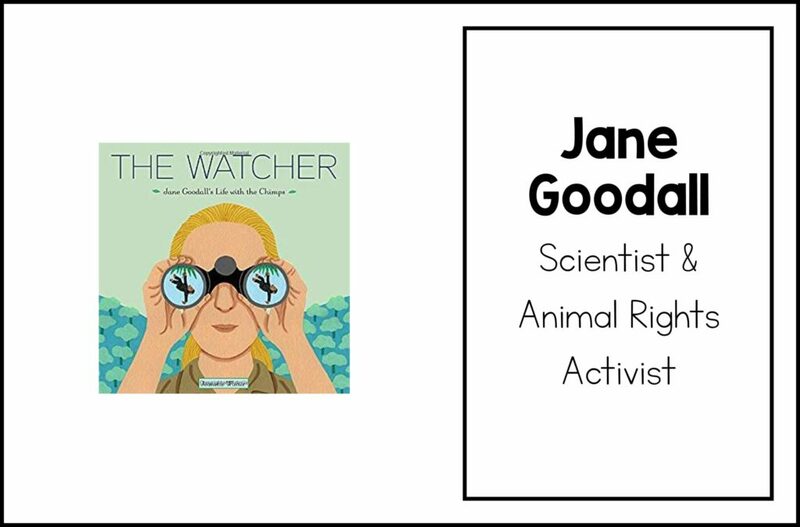 Your young animal lovers will completely relate to Jane Goodall’s dedication to saving the chimpanzees and their habitat. While there are many biographies about Jane Goodall, this one is my favorite! WHY YOUR STUDENTS SHOULD READ THIS BOOK: This is an inspiring biography about using your talents to help follow your dreams! 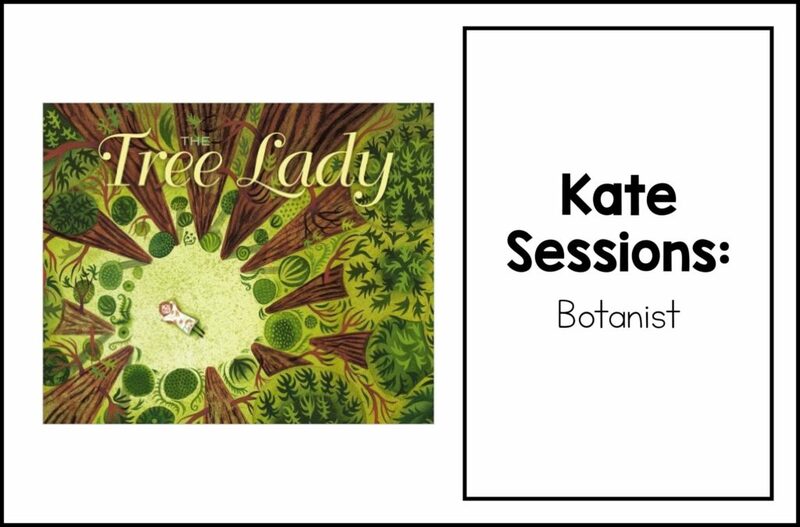 Despite adversity, Kate Sessions stayed strong and singlehandedly began the movement to transform the dessert-like San Diego, into the green, garden-filled city it is today. 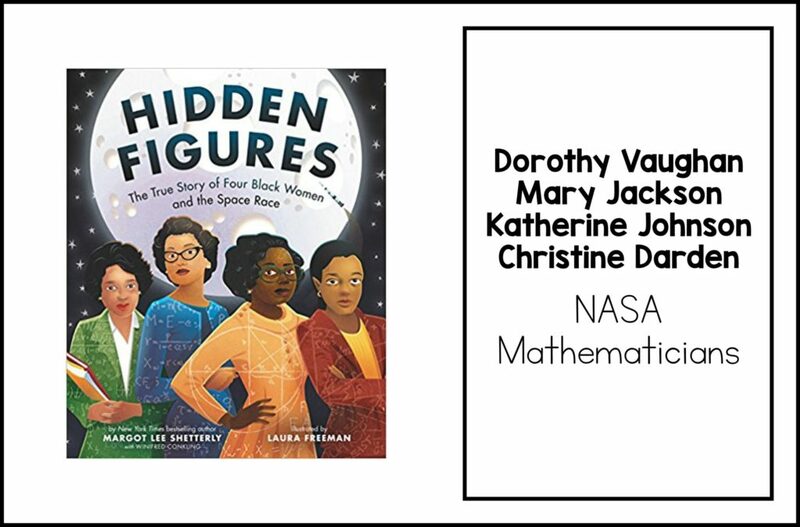 WHY YOUR STUDENTS SHOULD READ THIS BOOK: In case you didn’t see the movie, this is the story of four brilliant black women that helped put men on the moon. Dorothy Vaughan, Mary Jackson, Katherine Johnson, and Christine Darden were incredible mathematicians that helped NASA achieve some of its most notable successes. This book is dense with a lot of factual information in addition to the story itself. It is all told in a kid-friendly way, and your budding scientists are sure to love it! 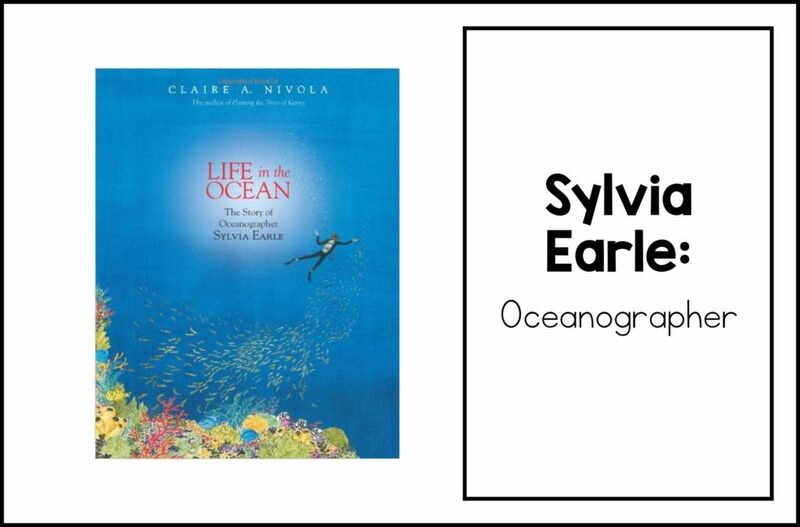 WHY YOUR STUDENTS SHOULD READ THIS BOOK: Like many of my students, Sylvia Earle loved the ocean and ocean wildlife. With the Gulf of Mexico in her back yard, from a young age she was committed to discovering “the blue heart of the planet.” Her observations and explorations of the ocean led her to become a leading advocate for preserving our oceans. The stunning illustrations and great prose really ignited some little environmentalists in my classroom. WHY YOUR STUDENTS SHOULD READ THIS BOOK: This is the story of a little girl with nothing, that always believed she was worth everything. 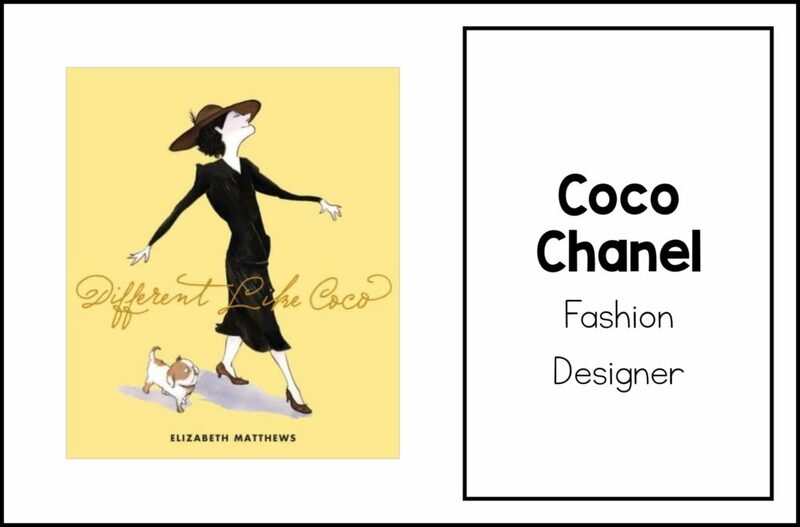 Raised in an orphanage, Coco went through life being told that she “less than” the wealthy, glamorous women she saw on the street. Even though she was forced sit with the “charity cases” at school, she always emulated the attitude and posture of her upper-class peers. Her refusal to accept the status that society labeled her, pushed her to dream and create an entirely new style of clothing that would go on to revolutionize women’s fashion. My students loved her fierce attitude, and found the history of women’s clothing very interesting. WHY YOUR STUDENTS SHOULD READ THIS BOOK: I really wanted to include a diverse collection of biographies for my students. 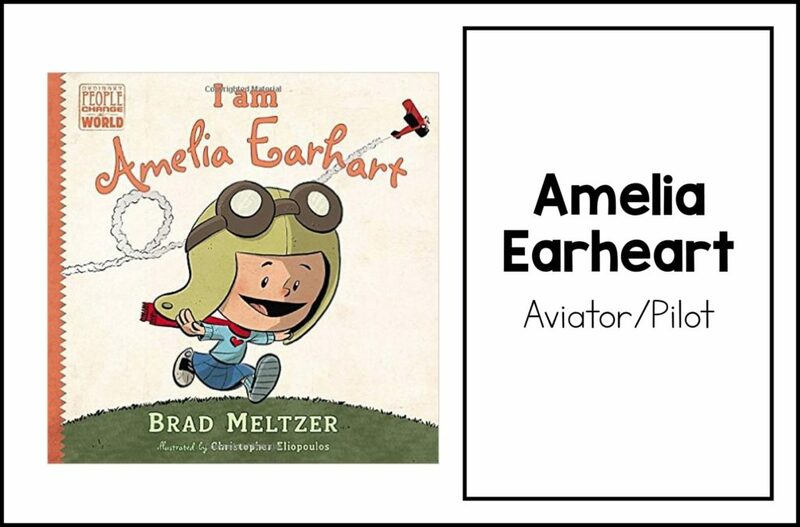 When selecting biography titles for my classroom, I wanted to make sure to include a musician to excite the little musicians in my class. The story of Milla is a story of great bravery, and one tradition that needed to be broken. 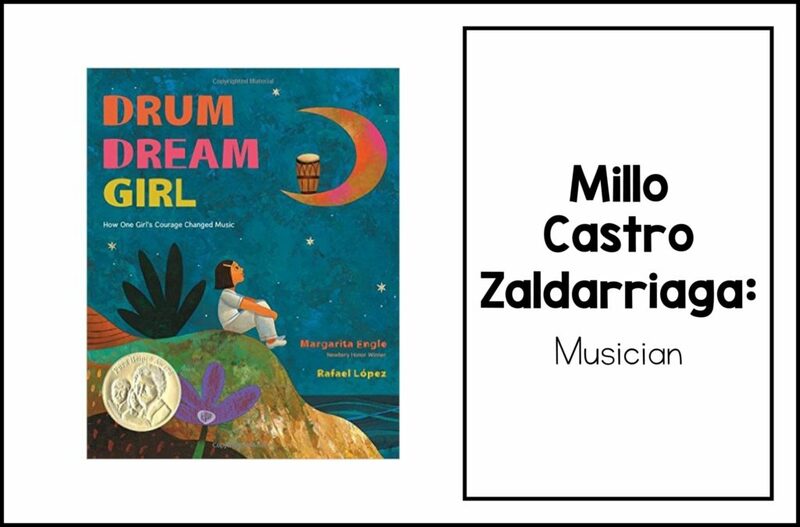 Milla’s work toward gender equality in Cuba is beautifully portrayed by both the prose and illustrations in this book! WHY YOUR STUDENTS SHOULD READ THIS BOOK: This is just ONE of many fabulous biographies from this series. 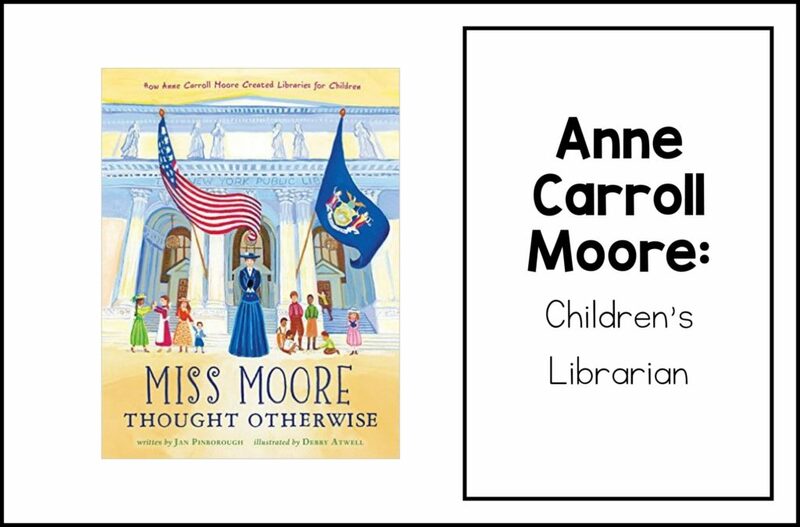 The author states that “Kids always search for heroes, so we might as well have a say in it.” This series does a wonderful job of hammering home the message we can ALL be heroes, because it is ordinary people that change the world. 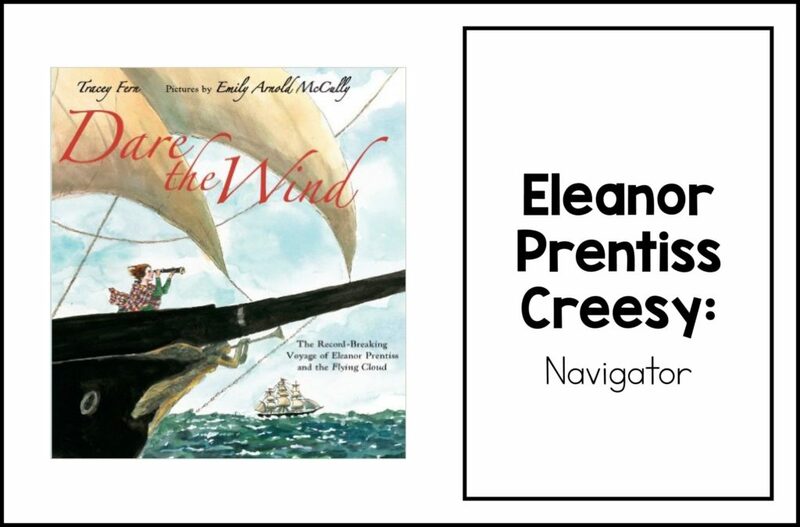 WHY YOUR STUDENTS SHOULD READ THIS BOOK: In a time when women were not generally not permitted onboard ships, Eleanor Prentiss was navigating them and setting world records. Although this is not a true biography, and more “based on the true story,” it is a wonderful read, and classroom favorite. Oh, and Emily Arnold McCully did the illustrations, so what’s not to love? WHY YOUR STUDENTS SHOULD READ THIS BOOK: Bessie refused the hand life dealt her. She was did everything she could to be somebody. 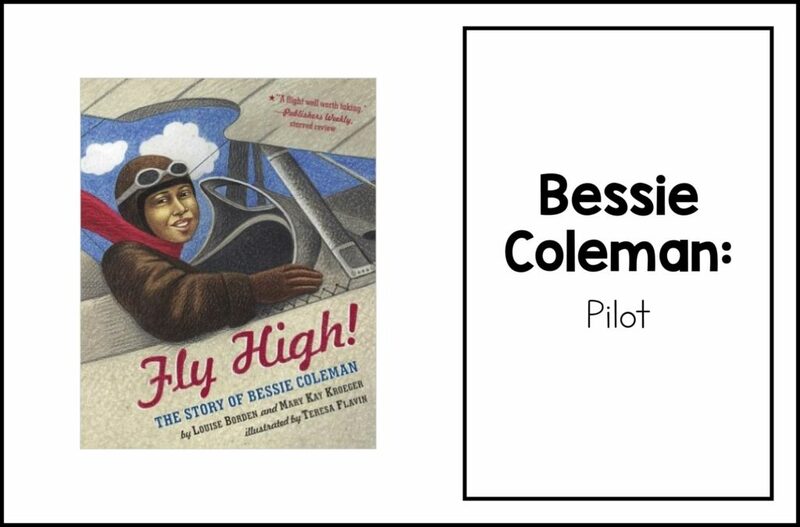 Through perseverance and determination to turn dreams into reality, Bessie became the first African-American to earn a pilot’s license. She is a wonderful example of what you can do if you work hard and believe in yourself. 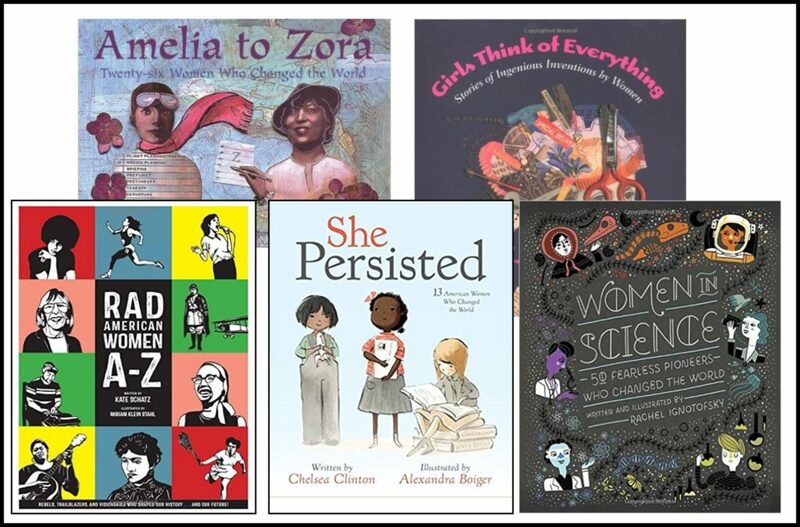 The following titles are some of my favorite collections of strong women to celebrate during Women’s History Month! This is the end of my list, but there are SO MANY MORE amazing women’s stories waiting to be heard. If you have a favorite that is not listed here, I would love you to share it in the comments for everyone! Thank you so much for stopping by! Happy Women’s History Month! LOVE this post, Jillian! Thanks for taking the time to compile this great list. Definitely bookmarking for later use! WONDERFUL! I jumped right onto my library’s website to put these on hold. I’ve maxed out my number of holds, so we will have to restock mid-month! Thank you for this list! Excellent list!! Calling my local library to hills what I can today!